We have been busy little bees here in the SIL house lately - and busy mornings call for quick breakfasts! You wouldn't think that baked oatmeal would be a quick breakfast - but like my beloved breakfast bakes, I made this the night before and popped it in the fridge to chill out til morning. I go through stages where I prefer hot breakfasts and where I can't think of eating anything other than a cold breakfast - for the last 6 months almost, I've been on a cold breakfast run - and I think it's the breakfast bakes that do it to me. Whilst I love soft, gooey baked oatmeal and warm comforting bowls of oatmeal I love how dense and delicious baked goods get when they're chilled in the fridge. 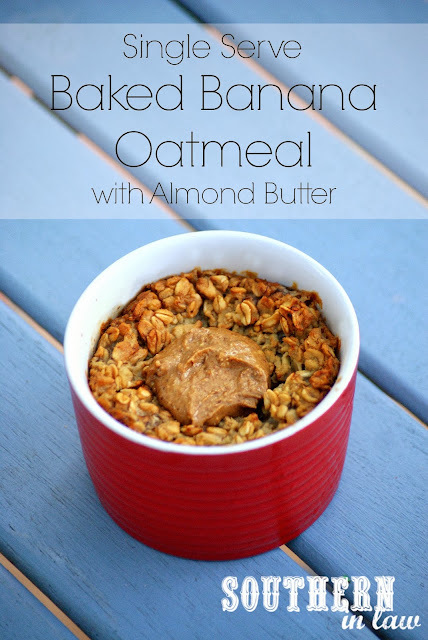 To make this breakfast perfect for my busy mornings, I leave it in the fridge over night then add some almond butter or peanut butter in the morning, grab a spoon and a cup of tea and chow down. Easy as pie - well not really, that's such a silly saying as pie is not easy. But onto that recipe we go! 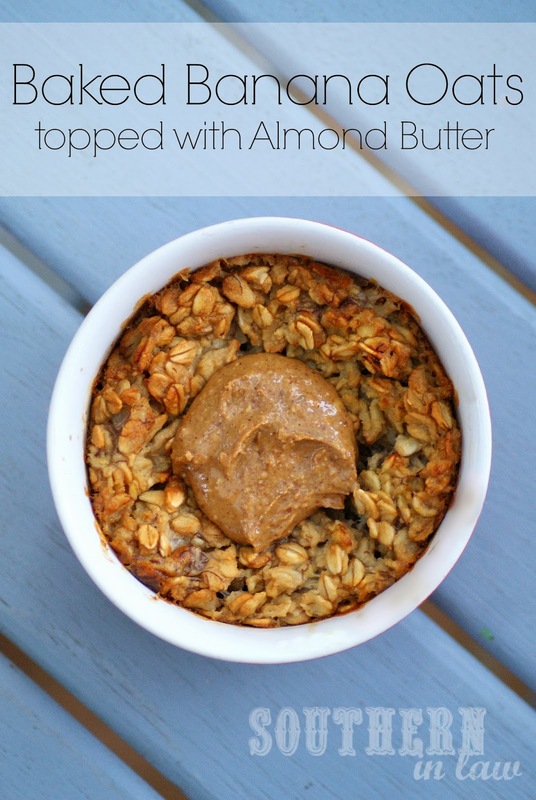 Bake for 30-45 minutes or until your oatmeal is set and the top is golden. Serve warm or chill in the fridge until morning. If you decide to chill it over night, feel free to eat it cold or heat it up - the choice is yours! *I always like to add in some cinnamon, however, I also like to add in some nuts for something a bit different! But tell me, what breakfast are you loving at the moment? And are you a hot or cold breakfast fan? This looks fantastic! if it wasn't so hot, I'd whip some up now! It's so good! Definitely one to try - also, if you want to make them on a day when it's not so hot, you can't make a few and keep them in the fridge for about 3 days or freeze them!